Ah, the good ol’ Chowhound BC forum…we’ve been beaten down with heavy-handed moderation and ugly site redesigns, yet we still go back like dogs to vomit. I’ve only met a couple Chowhound people in person. You know “tweetups”? 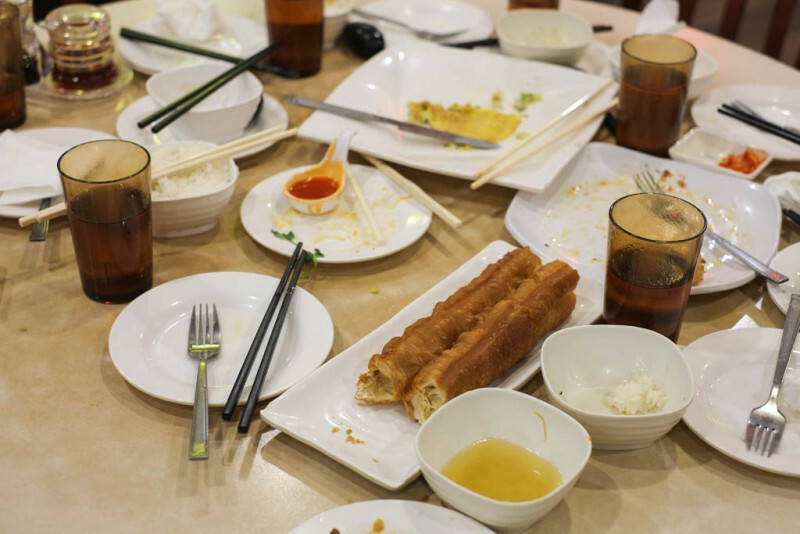 Well, sometimes there are “chowdowns” where we meet up in real life to take photos of our food and eat food while talking about other food. A few of us Chowhound members met up at Double Double in Richmond recently and it was a night of firsts. I had never been to a chowdown (nor eGullet meet-up) before, and I had never been to Double Double before. I’d do both again. TLDR: This dinner goes to show that most restaurants aren’t all good or all bad. It’s usually a matter of finding the best dishes that suit your taste. I hope this post helps you with that! Double Double is located in Empire Centre (along with Shiang Garden), beside Parker Place. Driving and parking is typical for Richmond — crap. But for some magical reason, it was smooth sailing on this Monday night. 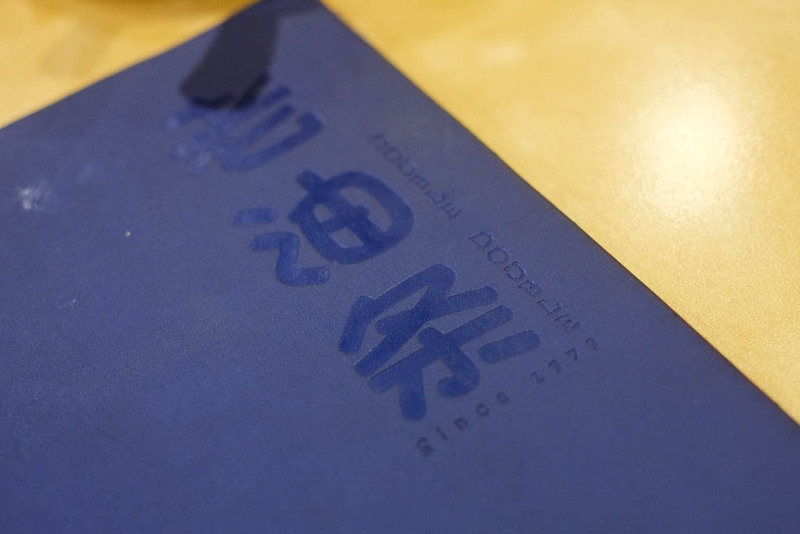 Menu says, “Since 1979”. 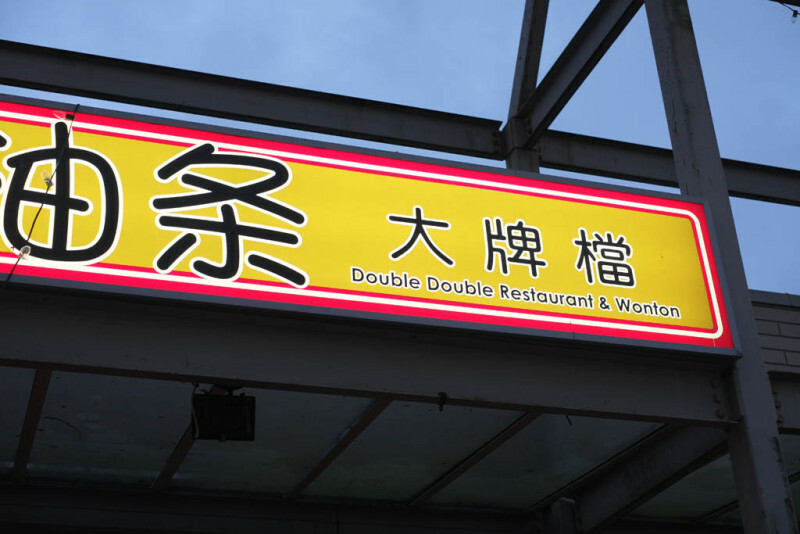 Others will know the precise history of Double Double better than me, but I think they were located somewhere in East Van before moving to Richmond. 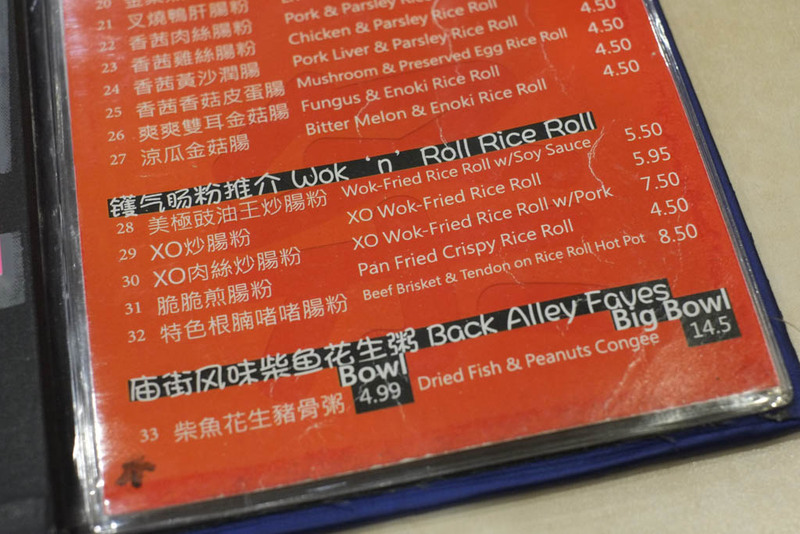 Here’s some random shots of their 200+ item menu. “Back Alley Faves” 😀 Vanbrosia says the dried fish in this Dried Fish & Peanuts Congee really stinks. 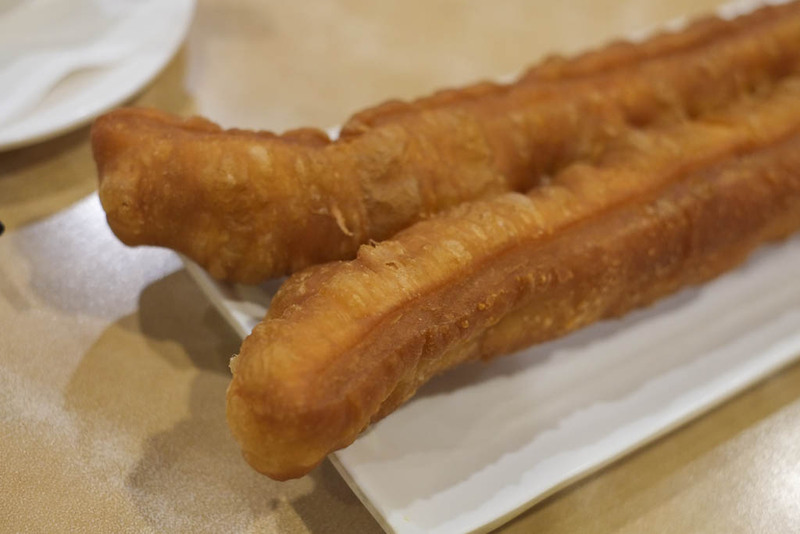 Salted Chinese Donut. I suspect that they only cook these once a day, probably in the morning. We had dinner around 7:30pm. 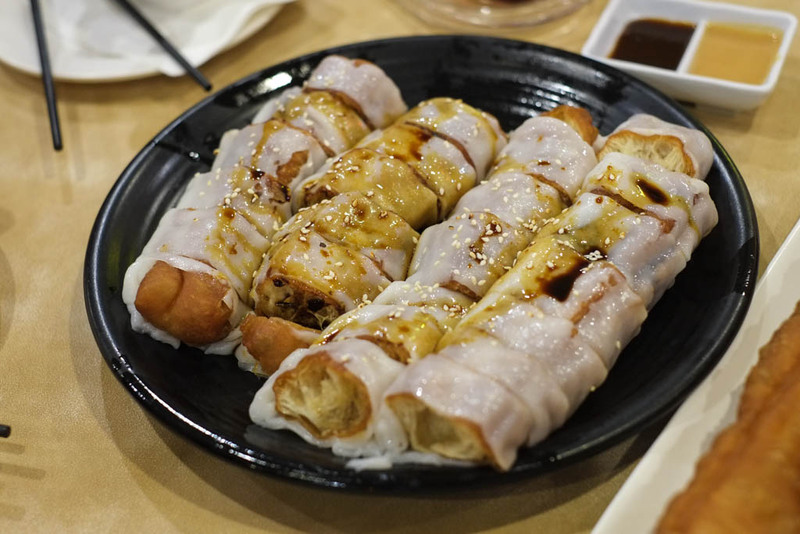 Crispy Chinese Donut Wrapped in Rice Roll. 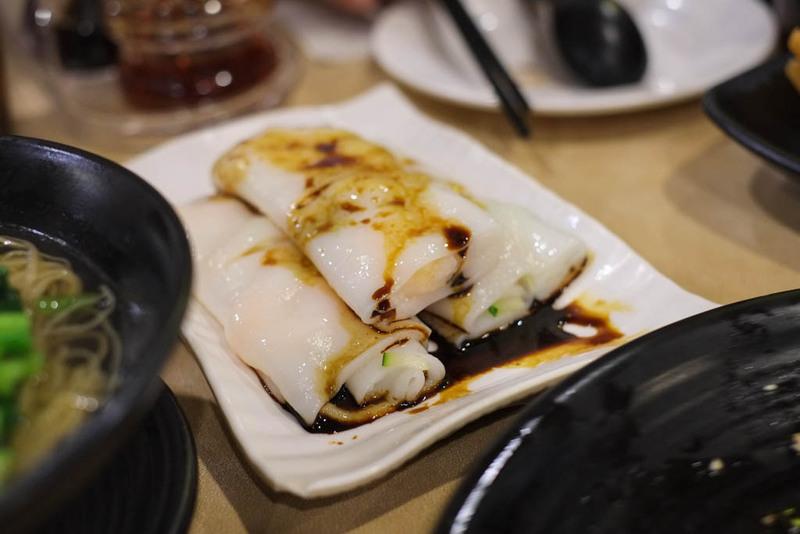 I ate more of this than I should have, partly out of nostalgia because this was one of my favourite dim sum dishes growing up. It was let down a bit by the same not-quite-fresh Chinese donut. But I do like this classic, straight-forward version of this dish more than any other fancified versions that put fish paste inside or dried pork fluff on top. 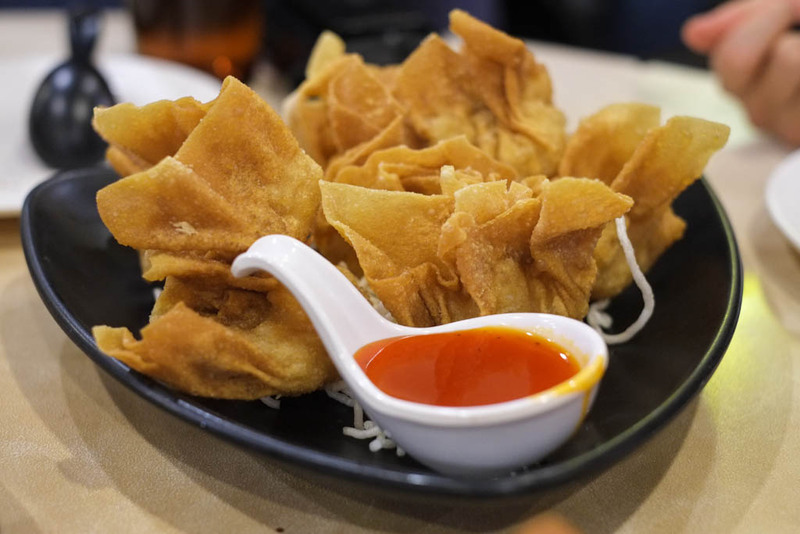 Surprise of the night: Famous Deep Fried Wonton ($7.50). Another nostalgic childhood favourite. They actually put a generous amount of filling in these! I think this was a fave amongst the group. 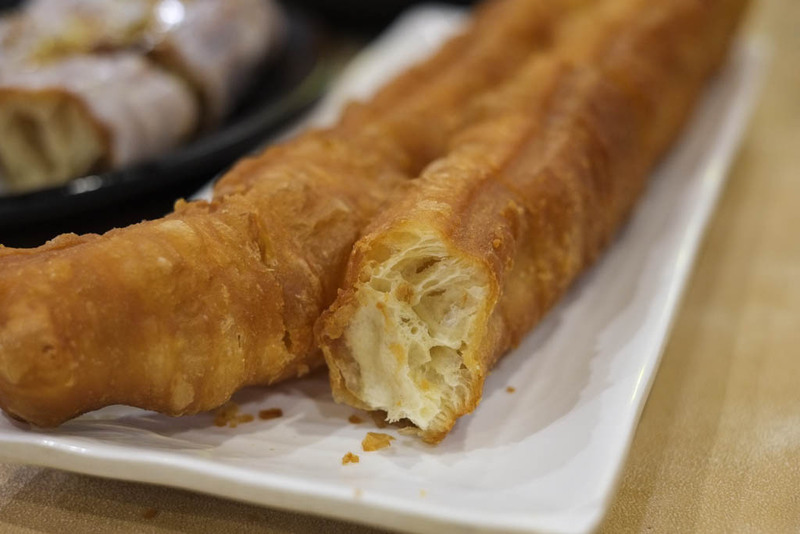 Crispy, not too oily. 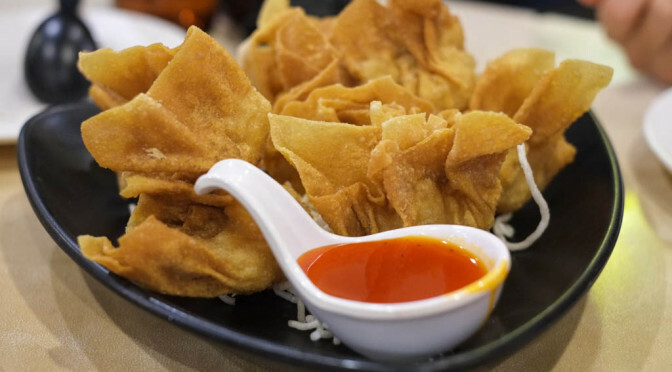 Prawn Wonton Noodle. I inhaled my portion so didn’t pay close attention. 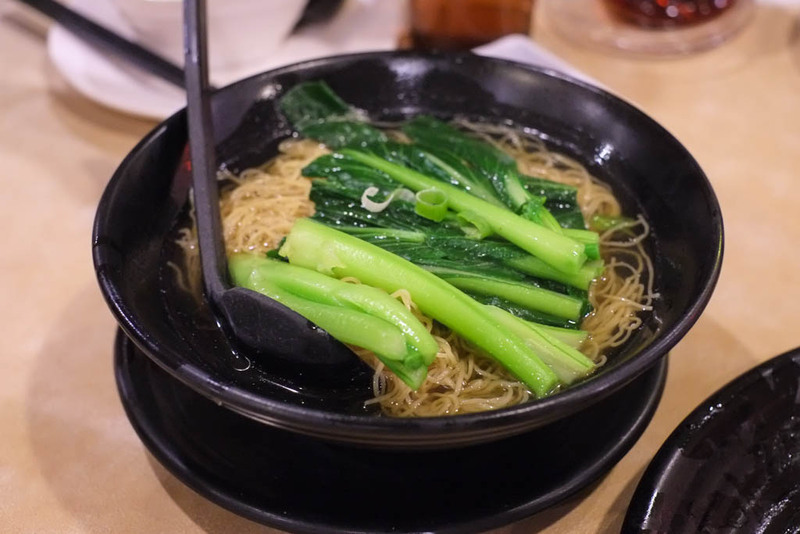 Noodles were firm and springy (how I like it) and the wonton were well-seasoned and not too dense. Shrimp Rice Roll. 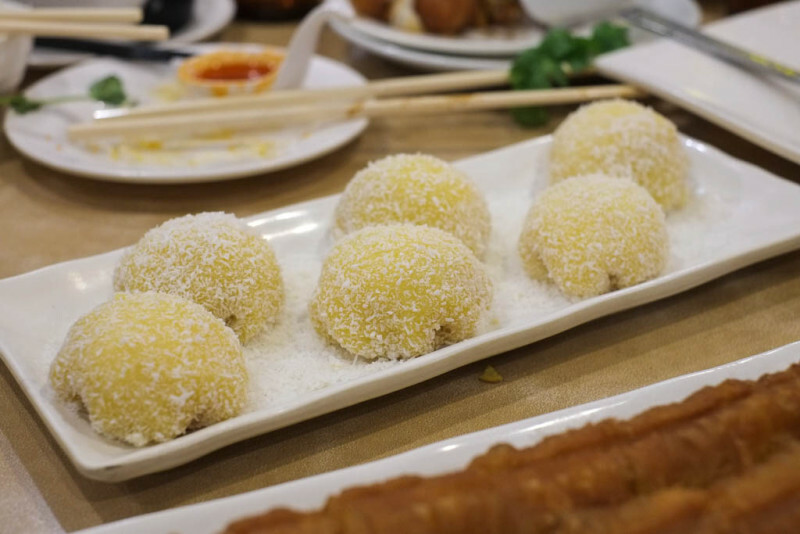 A dim sum staple. These were not bad but…forgettable. 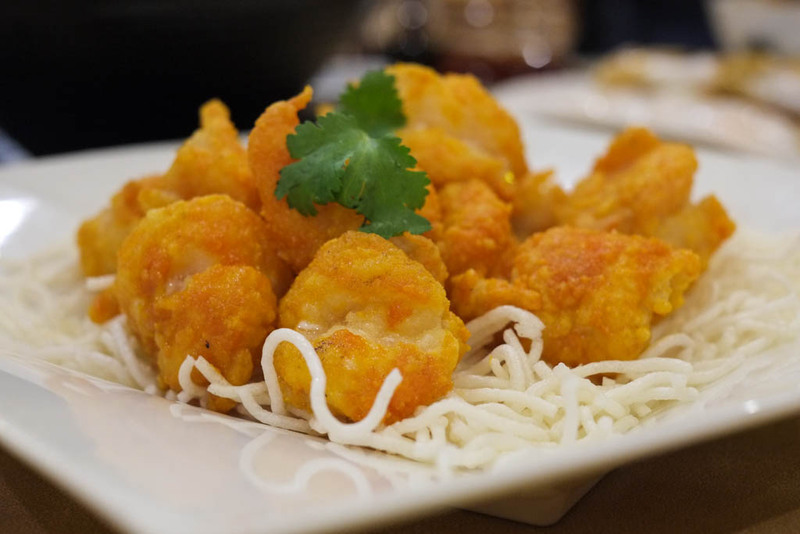 Another favourite dish of the night: Golden Prawn with Salted Egg Yolk. A bit pricey at $14.90 but no complaints about the taste. Juicy, “bursty”, perfectly-cooked prawns. 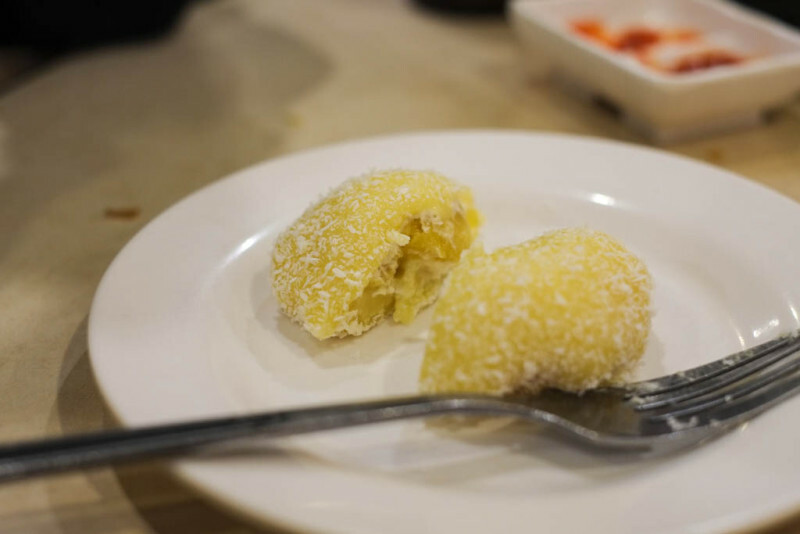 The salted egg yolk on the outside gives a rich, almost cheese-like umami quality. There’s another version of this dish that uses shell-on prawns, but I think we made the right decision in getting this shelled, de-veined, and butterflied version. I’ve had salted egg yolk with crab (Ken’s Chinese) and with lobster (Shoom), but this version is the tastiest and easiest to eat. 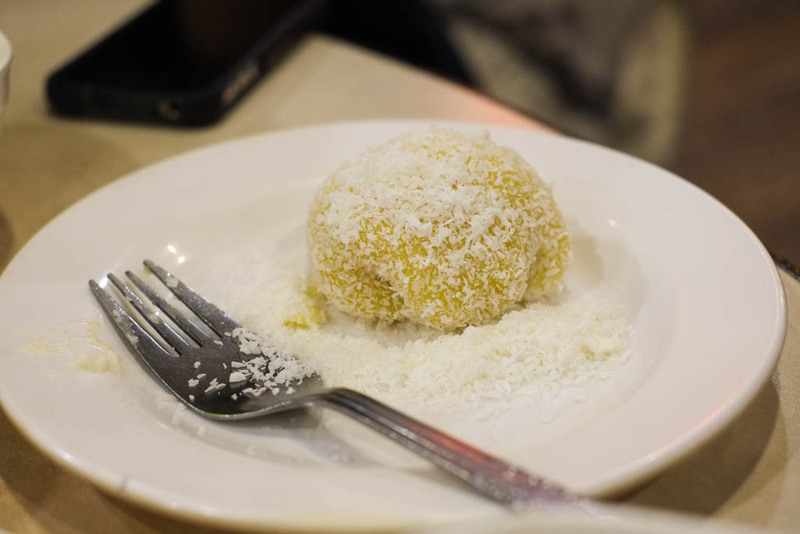 The salted egg yolk also gives a slightly dry, grainy, sandy quality when you eat it…it’s quite unique and delicious. 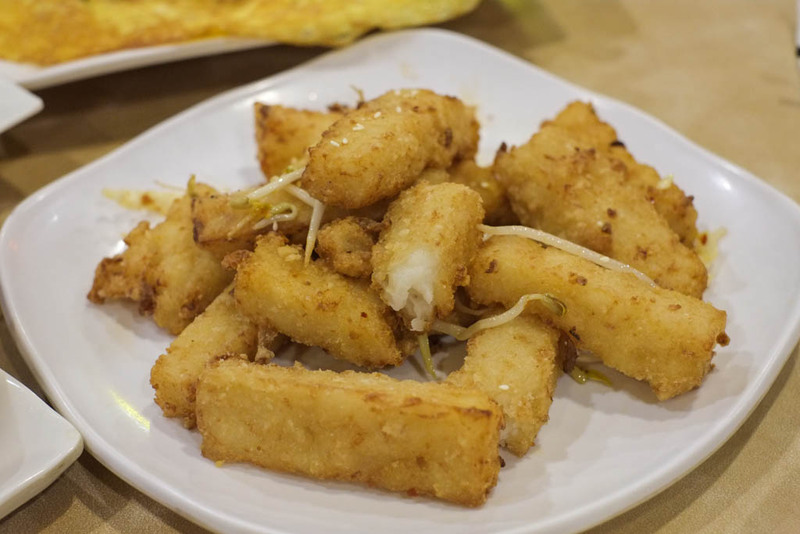 Wok-Fried Radish Cake with Xo Sauce. 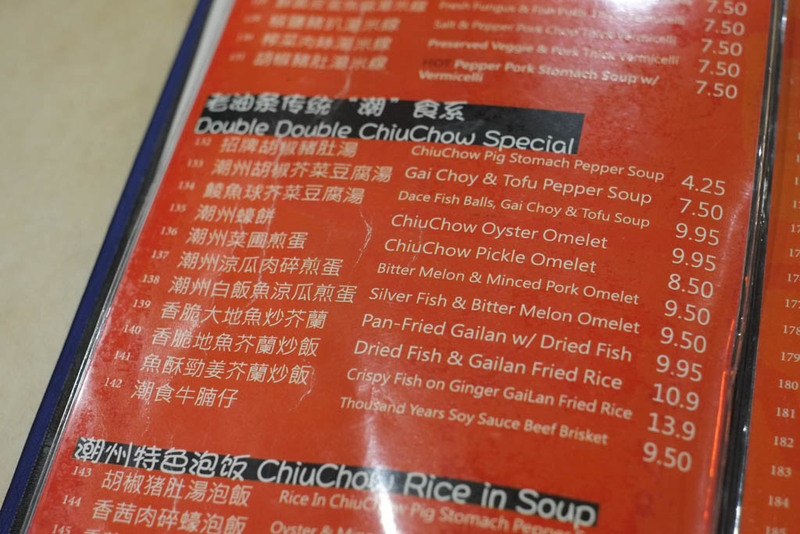 When this dish hit the table, I was like, “Where’s the XO sauce? ?” The radish filling was soft and fluffy, and the outside was slightly crispy then turned soft as it sat around. I appreciated the light texture but it’s not a dish I would order for myself. 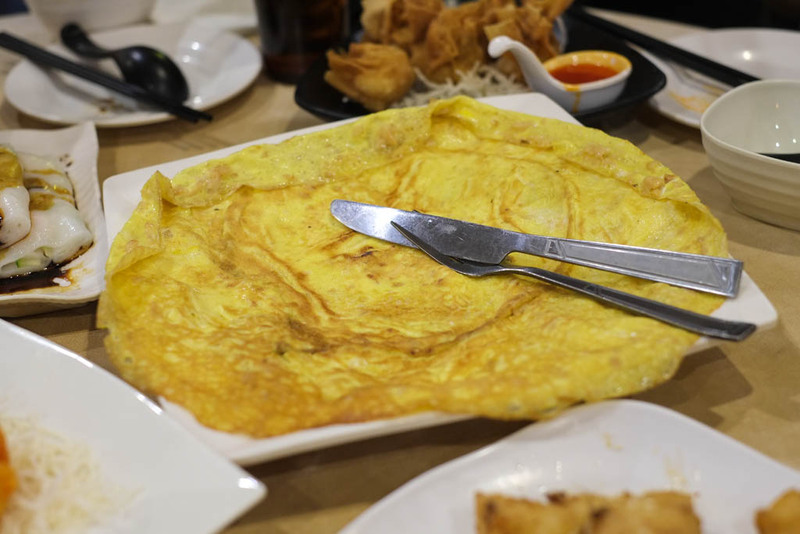 We ordered two Chiu Chow-style omelettes: Chiu Chow Oyster Omelette and Chiu Chow Pickle Omelette. They look almost identical, so just look at the photo above and blink once. The “pickle” version used little bits of salted turnips that give a nice hit of salt and crunch. 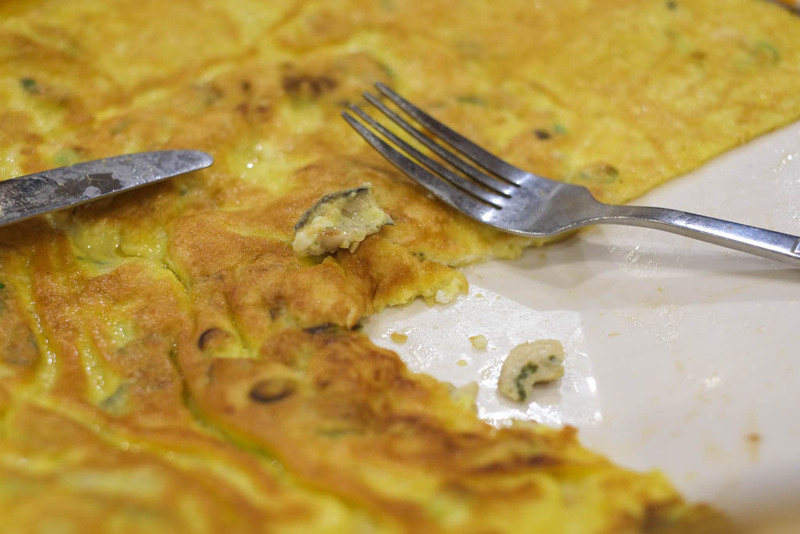 The pickle omelette had a warmer reception than the oyster omelette. This is a sample of a boring/strange/offensive (depending on who you asked that night) dish that the boss lady was trying to sell us on. I can’t find it on the menu but it’s basically Beef and Pineapple with Mushrooms and Black Pepper. 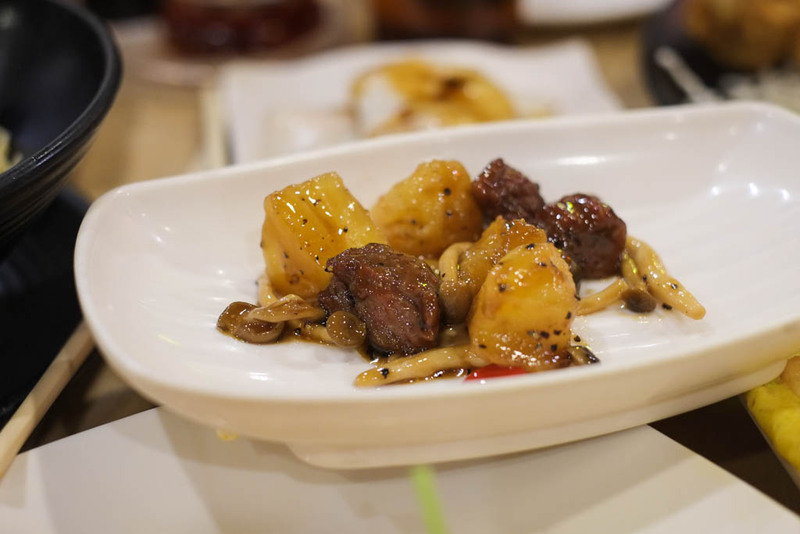 The sauce was nondescript and the beef had that tenderized quality that I hate in Chinese beef dishes (especially ones served at Chinese banquets swimming in that dark red sticky sweet sauce). It’s Chinese food for white people. Or what Chinese people think white people will like. Funny that we talked about Moyenchow’s recent post on General Tso’s Chicken after getting this dish. 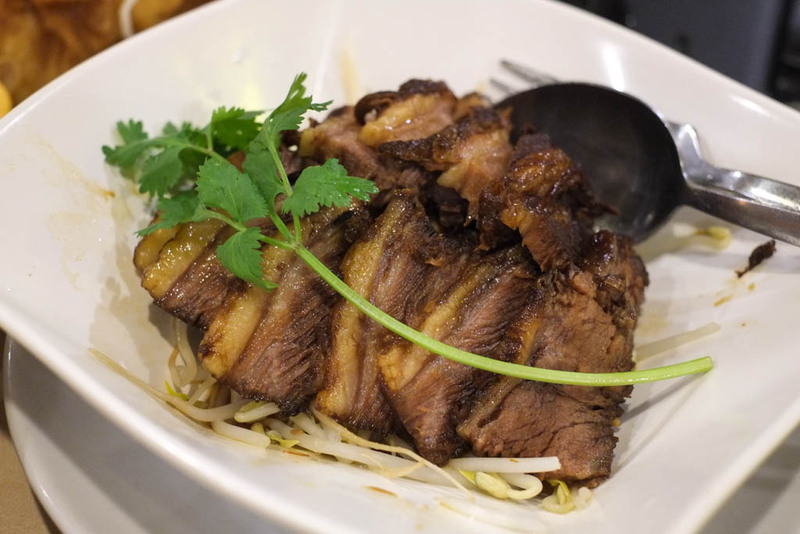 Another Chiu Chow dish, Thousand Years Soy Sauce Beef Brisket. Wicca loved this one. I thought it was a really unique way to cook and serve beef brisket. I’ve never seen it sliced this way before. I almost mistook it for a pork belly dish. 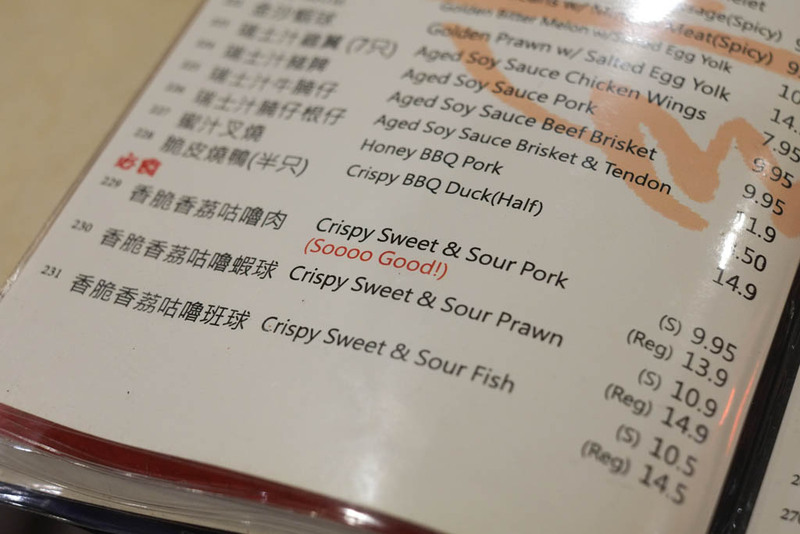 Can’t say that I know exactly what that “thousand years” soy sauce tastes like, but it hits that pleasing middle ground between salty and sweet, strong and weak. Dessert, listed on the receipt simply as MOCHI. There’s mango and cream inside. Of course Wicca helps herself to extra coconut. I gave mine to Wicca. She inhaled both. The mochi part had a soft smooth texture with the perfect amount of chew. The filling could’ve been better…not sweet enough, mango wasn’t fresh, and the cream tasted artificial. Wicca still thoroughly enjoyed it. 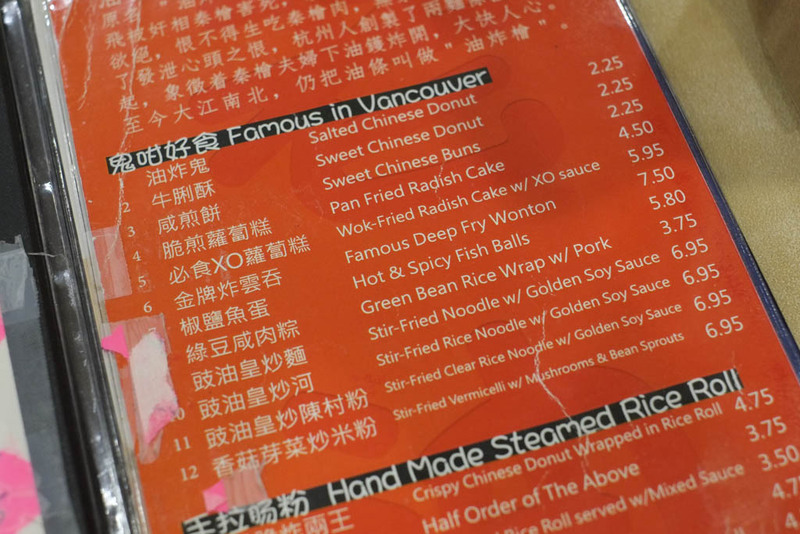 You can tell that no one liked the plain donut, especially without congee. While nothing was bad, some dishes were meh while others were great. 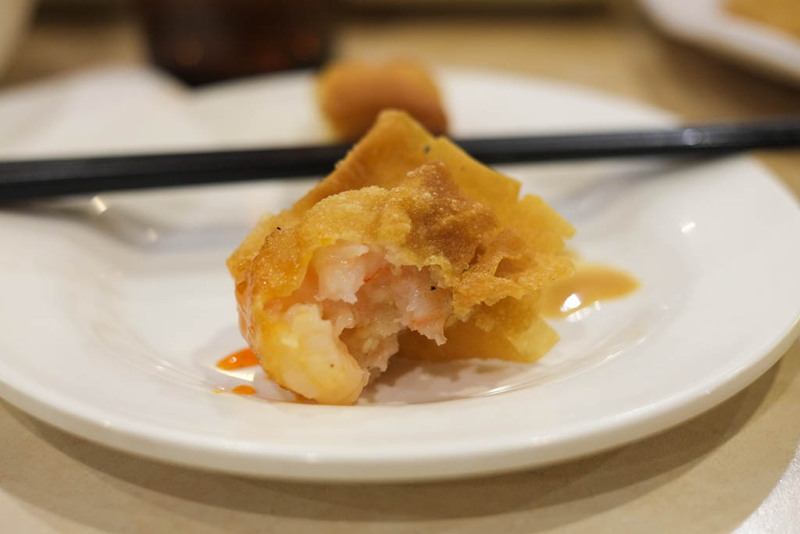 The beef brisket, prawns with salted egg yolk, and the deep fried wontons made us very happy. I had a great time, esp. just learning via osmosis from all of you. Always good to learn/re-learn the good vs. meh dishes at different restos regardless of their reputation. Overall ,….. enjoyed the food, enjoyed the company. And hope to do it again. Thanks Dennis. Hope we can do another chowdown! Fun to meet those of you I didn’t already know, and reconnect with the rest of the gang ;-). Those wonton were awesome and my favourite item, followed by the pickle omelette. By all means, let’s chow again!